I am so glad its mid week! This week is flying by quickly because I've been so busy! That's good...right? Of course that only means Christmas is approaching faster and faster! Oh dear! lol! 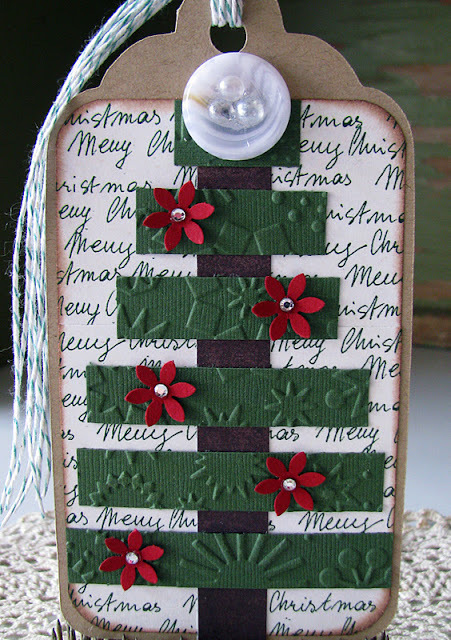 This sweet little tag was created almost completely with all scraps. I love when I can clear out my scrap bin some. 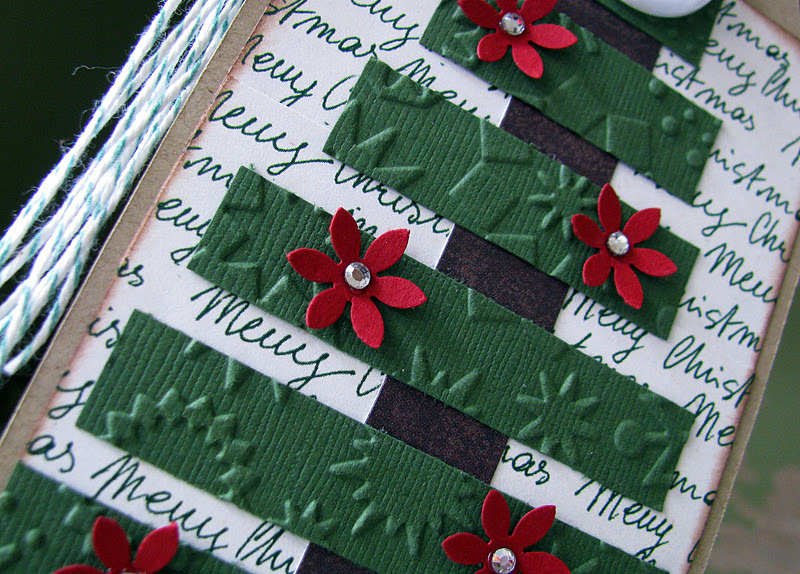 I ran the green strips through my snow flake cuttlebug folder to add a little more texture to the already textured card stock. 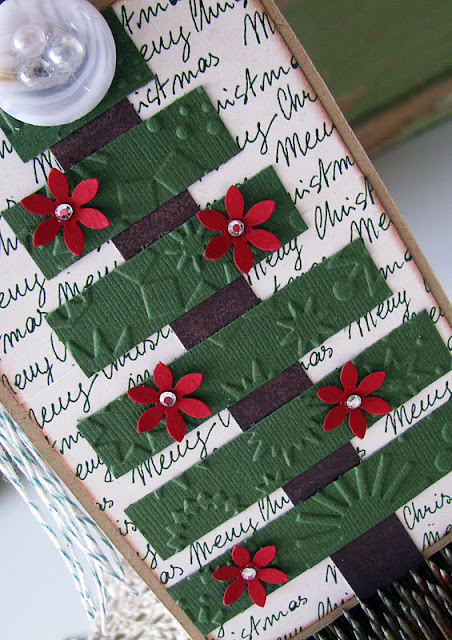 Then I added some sweet red punched flowers and centered each of them with a clear rhinestone. So sweet! The background paper acts as my sentiment this time. Don't you love it when that happens? :) I sure do! Lastly I topped the tree with a vintage button and added some baker's twine for the hanger. This little cutie is for sale in my Etsy shop if you're interested. Please take a look in my shop for other fun Christmas goodies too! Ok seriously...I know I was sick and trying to get ready for Christmas, but seriously....just how long has it been since I've visited???? This is adorable! 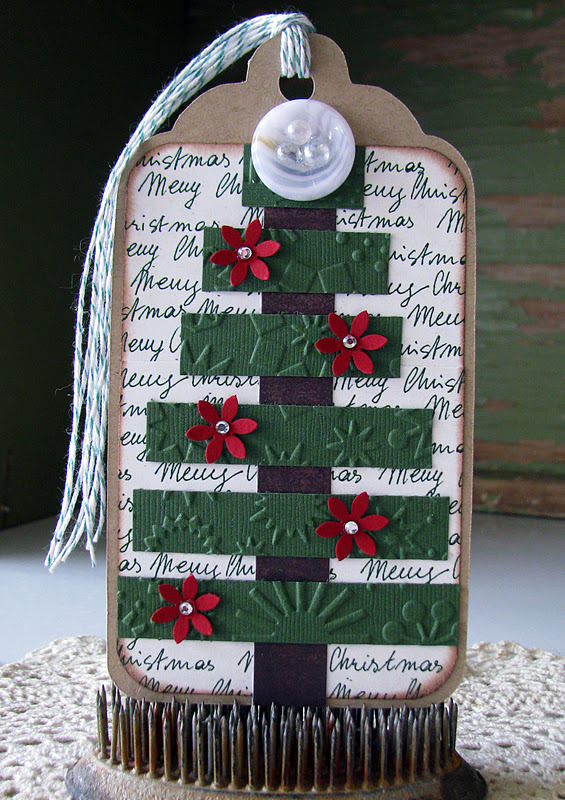 Love the simple design of the tree with the beautiful embossing and those precious little flowers!